Was that you? Sitting behind me in a London pub? This computer feels so foreign in front of me and my fingers are having trouble dropping syllables at the speed which they did before. I am in Africa and due to my poor internet connection I have not been posting or even trying for that matter. I am working hard to get a wi-fi signal because I am aching to tell you something. Something I’ve wanted to say since that evening in London a few days ago. I was sitting at a table with my family in central London waiting for our fish & chips when I first heard her start talking. She was sitting behind me when she said it to the man across from her. I couldn’t help but keep listening. They had been discussing painful childhoods when she pulled out something from her purse. It was a poem – several pages long and typed. A poem inspired by her experiences in a broken home. I stole a glance behind me at their table pretending to reach for something out of my own bag. She watched eagerly as the middle-aged man read her words through his wire framed glasses. I wondered how long she had kept that paper waiting for the right moment to share it with someone. Finally he put the pages down and told her that he loved it. That it spoke to him – another who had a similar experience with a dysfunctional family. The woman then rambled off all her excuses as to why it wasn’t wonderful. She didn’t study poetry and never even took a course. Immediately she discounted all the value she had handed him on that paper. Again, he insisted that he really did like it. Sheepishly she mustered the courage to ask the question we all are dying to ask. I didn’t hear much of their conversation after that, but those words lingered as I ate my dinner. I heard my own voice in her question – the voice of so many of us. Your voice. Forget the vague descriptors. Drop the token encouragements. Shoot me straight. What is it your really like about me? About what I offer? Our flight out of London to Cape Town left at 9pm. After my kids fell asleep I sat there in the dimly lit cabin thinking about her question again. My thoughts began to drift to you guys. You wild dreamers with your passions scratched on pieces of paper and your ideas stored in your 140 character increments. You entrepreneurs with the risky streak just waiting to bust the world wide open in the most beautiful ways. Those of you who love big because people and their stories are the fuel for your generous souls. All of you to some degree sit across a table from someone and give them your piece of paper. And deep down inside you wonder. Is this really valuable? Does this really matter? And while I sit here halfway around the world from my usual keyboard, I want to be the person sitting across the table from you saying “yes. it matters very much.”. I’d reserve a booth for months if that pub would let me and you could each come and tell me your scribbles on pieces of paper. The things that anchor you to the most authentic parts of yourselves. The legacy you imagine within your most sincere daydreams. I want to hear them and tell you in detail what makes you so unique. All the ways you carry greatness in you. How your story holds eternal value and unimagined potential. I’d tell you not to be embarrassed about what you’ve put down on that piece of paper. It’s pure gold. 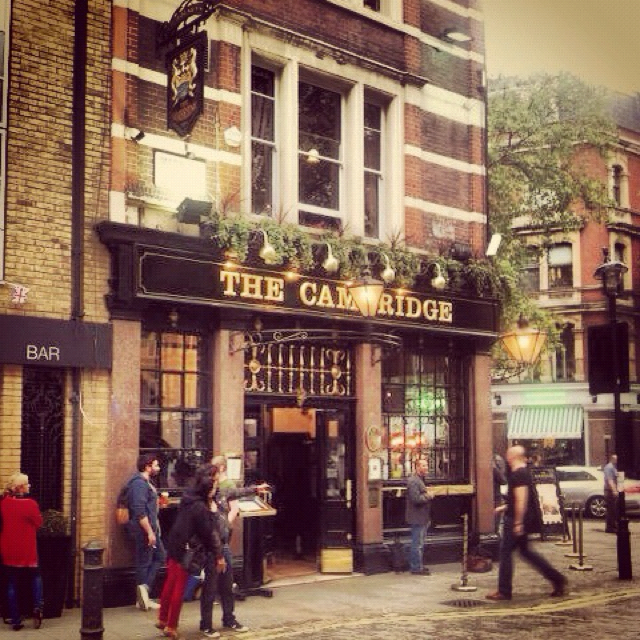 Maybe one day we can rent out all the pubs in London. Cram through their doors and find our seats at worn tables. There we can share our stories together and pull out our papers from our own bags. Answering that lingering question – what is it you like? About me. About this dream. Is it really a thing of beauty? Until then, I pray you find a friend to sit across from. Together sharing the secret papers you carry around in your bags. Answering each other’s questions of value. And if you don’t have a pub partner to meet up with – then hear it from me. Those stories you carry, the ideas you create, the product of your handiwork. They are needed. They are powerful. They are a thing of beauty. Really. Huge! This is SO much what motivates me. I can’t believe how alike we are in this regard. Doing what you just described is the best part of my job because it is needed so much. VERY we’ll put! Thanks for saying “yes” to this part of God’s call on your life. I’m a proud dad. Lovely. Thanks for being an encourager of people’s dreams and inspiring us all to share them so that we can cheer each other on.